I feel fortunate to have some wonderful women in my life, including two sisters, two nieces, my son’s girlfriend, several close work colleagues and some pretty special girlfriends. Naturally, I’m looking for special holiday gifts to show how much I appreciate them. I’ve been poking around the web since early November, looking for inspiration. The first gift idea I considered was a scarf. I know, I know--not the most original gift. Still, a scarf is a great wardrobe pick-me-up. 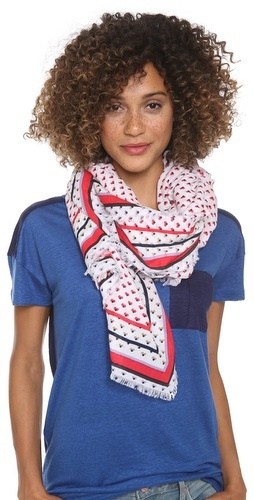 During my online search, I came across a Diane von Furstenberg Braden Scarf (was $185, now $92.50) (above) at shopbop.com . 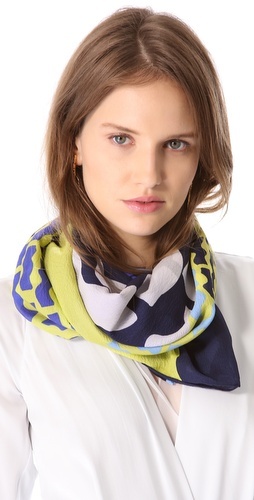 A DVF scarf for under $100? Who knew? I got pretty excited and started looking elsewhere. And guess what? I found other designer scarves for under $100. I love to give (and receive!) a scarf for a bunch of reasons: 1) you don't have to worry about sizing, 2) scarves aren't age-specific (they flattering women of all ages) and 3) the more scarves a woman has the merrier. And if the scarf is from a designer's collection, all the better. 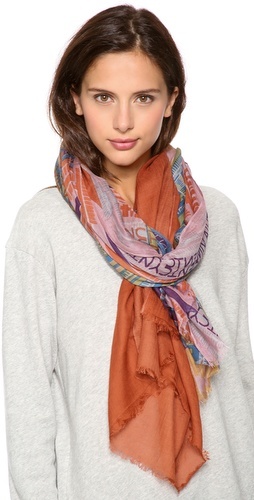 There is nothing like a designer scarf in a lux fabric to make a woman over 50 feel like a million bucks. 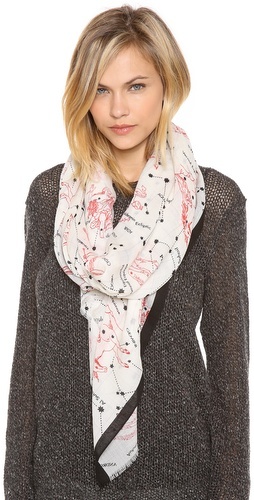 DKNY Faux Fur Short Pull Thru Scarf ($88). Pssst! If you're reading this on Cyber Monday, you might want to take advantage of the CYBER MONDAY SALE! 25% off SITEWIDE today only. Discount taken at checkout. .